Today is one of my favorite days of the year, because it is the official start of #Choctoberfest. This is the third annual food blogger celebration of all things chocolate, made possible thanks to our gold sponsor Imperial Sugar and the other sponsors listed below. 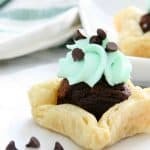 Who doesn’t love chocolate upon chocolate recipes, such as these Mint Chocolate Donut Holes! 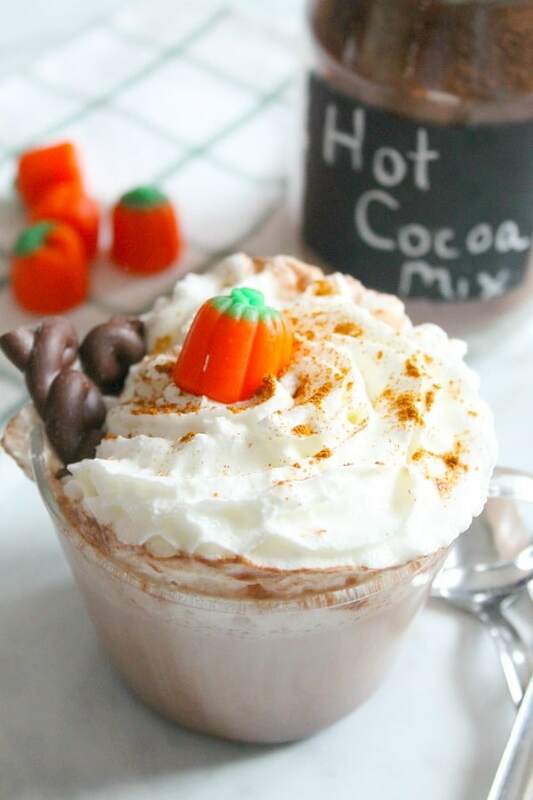 I decided to make my own hot chocolate mix and then add pumpkin to it once I added the milk! It is heavenly! 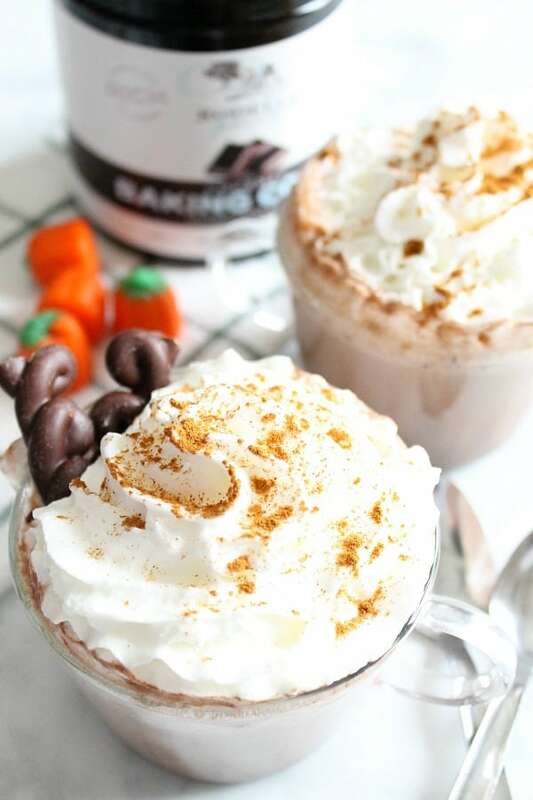 This homemade hot chocolate is perfect because it keeps on giving and giving! I can make hot chocolate over and over again! 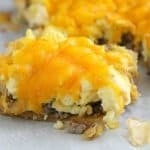 Don’t forget to check out my other recipes Triple Chocolate Monkey Bread and Chocolate Peanut Butter Sheet Pan Pancake! 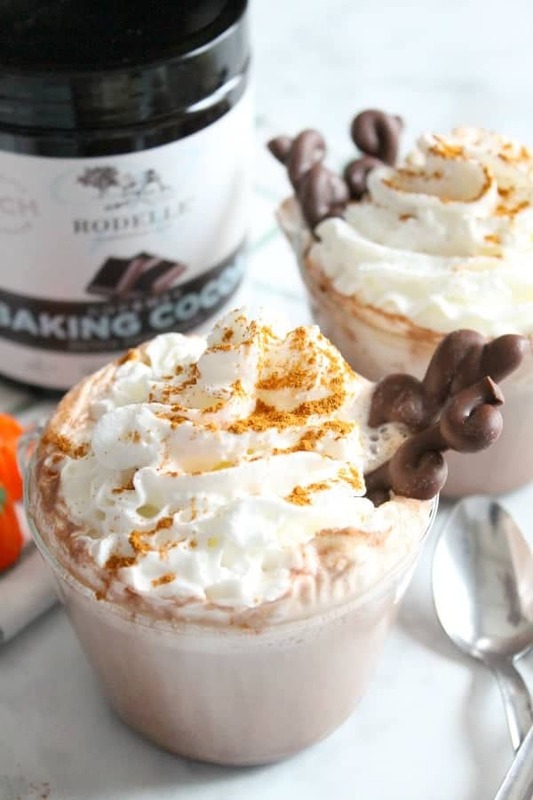 Whisk together 3 cups sugar and 2 cups Rodelle’s Gourmet Baking Cocoa. Store in container. 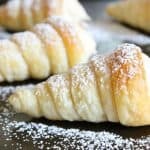 Heat in microwave milk for 1 minute. Whisk in pumpkin. Then whisk in cocoa mix. Love the festive garnishments on this cup of deliciousness. It is a great combination! Thanks! Oh yum! 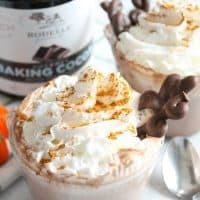 I love how you included a hot cocoa mix with this recipe… it makes for easy hot-cocoa-ing on the go 🙂 I made hot cocoa too! This sounds delicious! 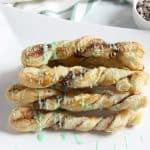 My kids are hot chocolate fanatics and this would definitely be a winner! What a great recipe, and your garnishes are adorable. The recipe says 1 Tablespoon of pumpkin, is this canned pumpkin or is it to be from a fresh pumpkin? Also where did you find the wave chocolate sticks? Hi Brenda, it’s canned pumpkin. It perfect for when you have leftover pumpkin! I’m definitely going to have to try this out soon! Hot chocolate is the best on chilly days!